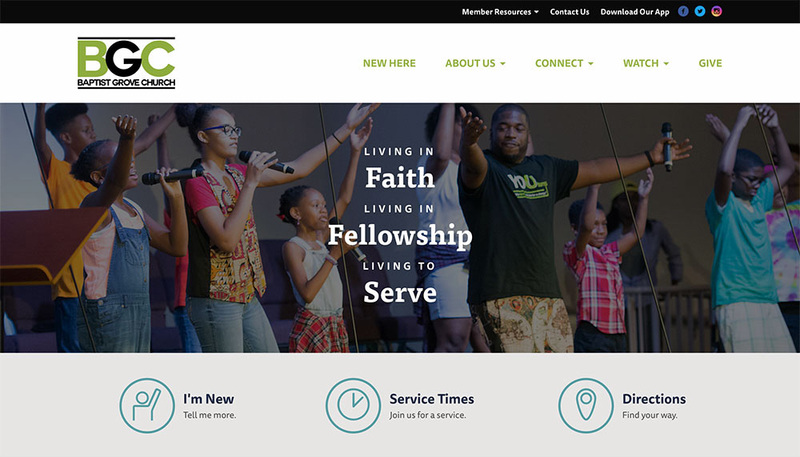 Landslide Creative helped Baptist Grove Church in Raleigh, North Carolina design and launch a new church website that reflected their unique vision and equipped them to serve their congregation and greater community. 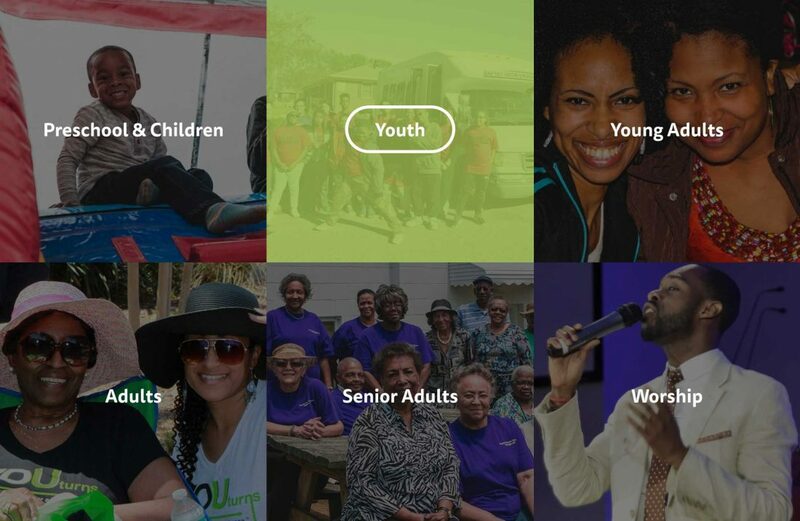 The homepage was carefully crafted to serve both new visitors and existing members. Links to service times and directions are readily found. 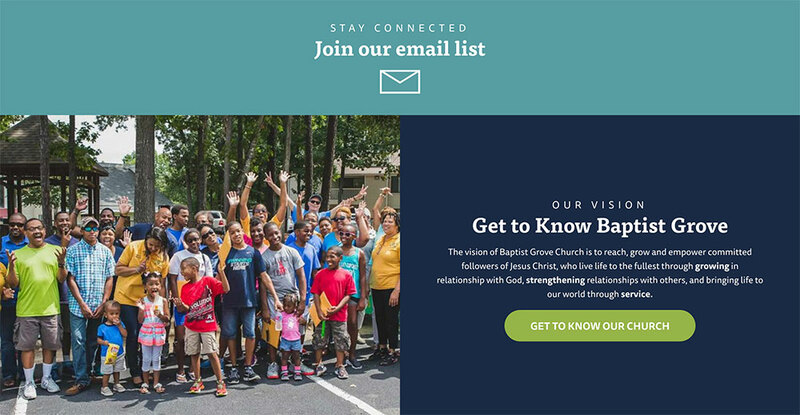 We worked closely with Baptist Grove to organize the site in a way that makes navigation smooth and intuitive. 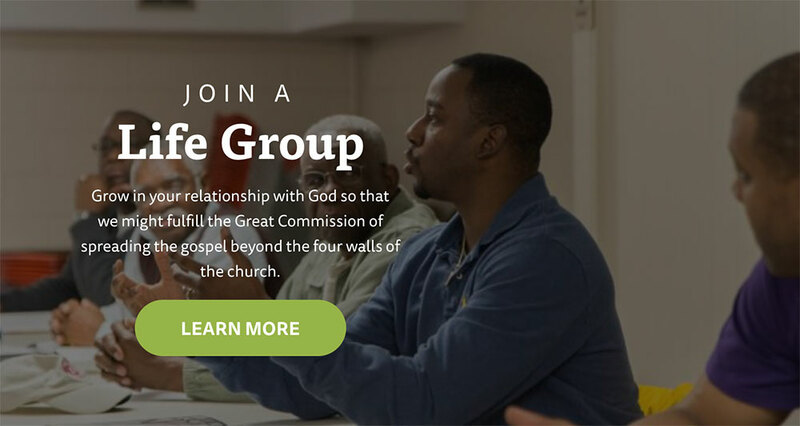 Life Groups are prominently featured, reflecting one of the church's primary goals to drive group participation. A modular approach to the design allows the Baptist Grove team to build and edit pages as their needs evolve. Want to know more about this project or talk about how we can partner on your website redesign? Send us a message!